SUPER BCAA SYSTEM is a combination of branched-chain amino acids (L-isoleucine, L-leucine, L-valine) in optimum proportions, enriched with vitamin B6 and taurine. Vitamin B6 contributes to normal protein and glycogen metabolism. 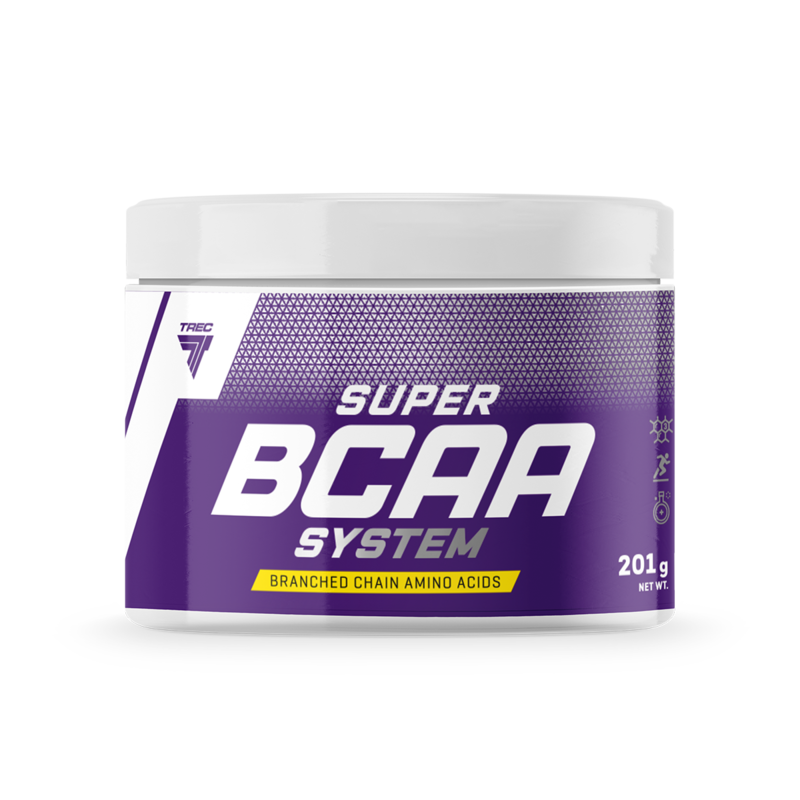 SUPER BCAA SYSTEM helps to provide a daily dose of BCAAs. Recommended daily portion is 10 capsules. Portion of the product wash down with approx. 300 ml water. On workout days: 10 capsules 45 min. before workout. On non-workout days: 5 capsules twice a day approx. 30 min. before a meal. INGREDIENTS: L-leucine (37%); L-valine (18%); L-isoleucine (18%); capsule shell (gelatine; colours – titanium dioxide); taurine (7%); anti-caking agent – magnesium salts of fatty acids; vit. B6 (pyridoxine hydrochloride) (0,1%).